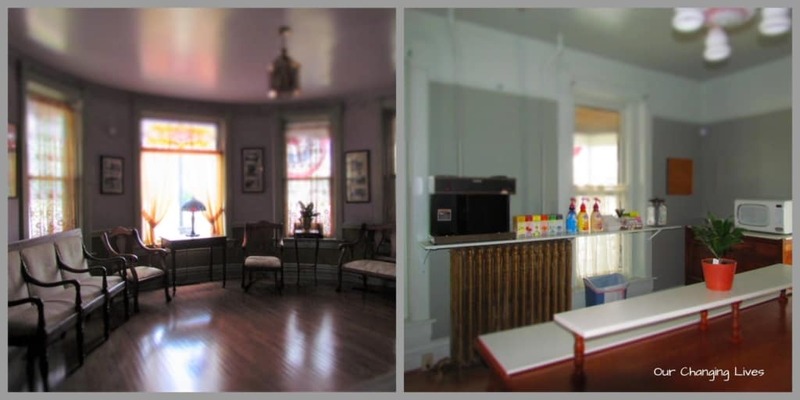 When visiting a historic city, it only makes sense to stay in a historic lodging location. In Council Grove, it ended up being The Cottage House for us. While it would be reasonable to make the visit to Council Grove a day trip, why not extend your visit to include an overnight? It certainly helps make the trip feel even more special. 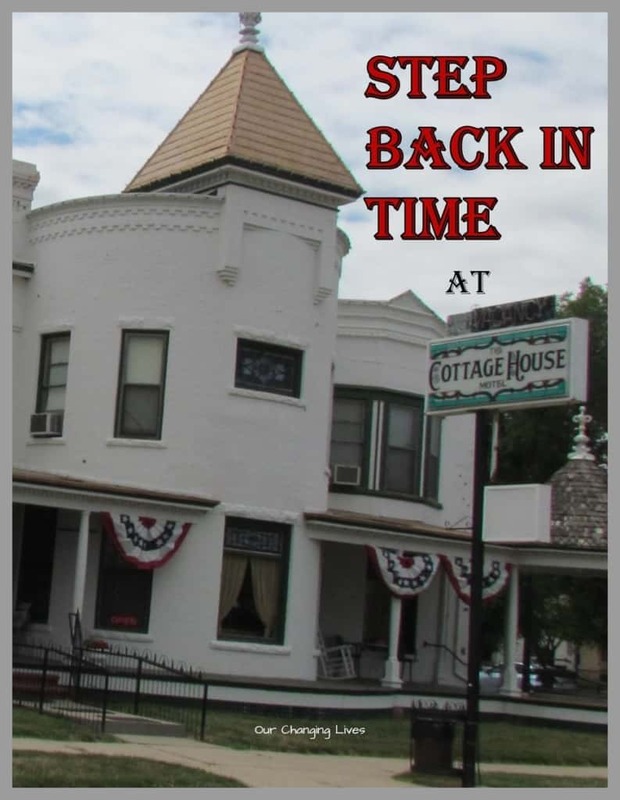 The Cottage House began modestly enough, as a blacksmith shop and three room cottage way back in 1867. Since that time, the main building has grown to include 26 rooms. The property also boasts a honeymoon cottage, as well as a 10 room motel, so there are plenty of lodging options all in one location. We want to thank the The Cottage House and Visit Council Grove for their hospitality. Rest assured that all opinions are our own. From the time we arrived, we were pleased with our lodging choice. 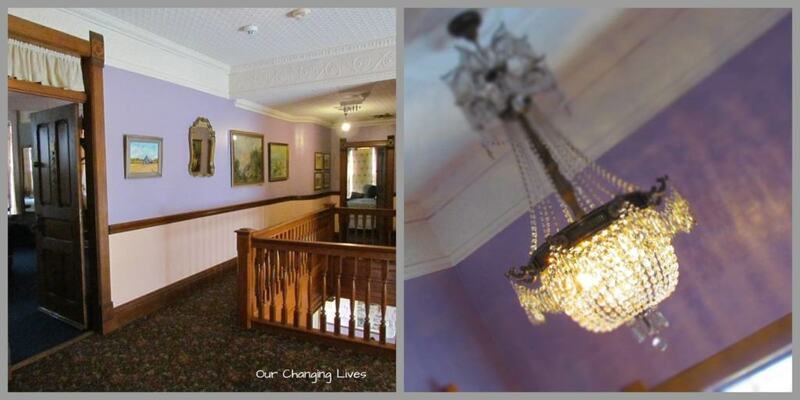 The beautifully decorations recall a grander time, when quality was built into all of the details. As we were checking in, we noticed the foyer seating. Comfy benches and chairs begged to be sat in. Just across the hallway we discovered a breakfast nook perfect for supplying our morning coffee ritual. We knew this charming setting would make for a historic stay. After checking in, we made our way up the staircase to our room. The woodwork is astonishing, and everywhere we looked we saw signs of the workmanship that is hard to find these days. The sun shining through the numerous stained glass windows cast rainbows of colors on our path. The beautifully carved rails and spindles reminded us of visits to mansions from yesteryear. A crystal chandelier added an additional element of fashion to the setting. We made our way to our room, and found that the charm continued. As much as we travel, we have become accustomed to dealing with smaller spaces at times. 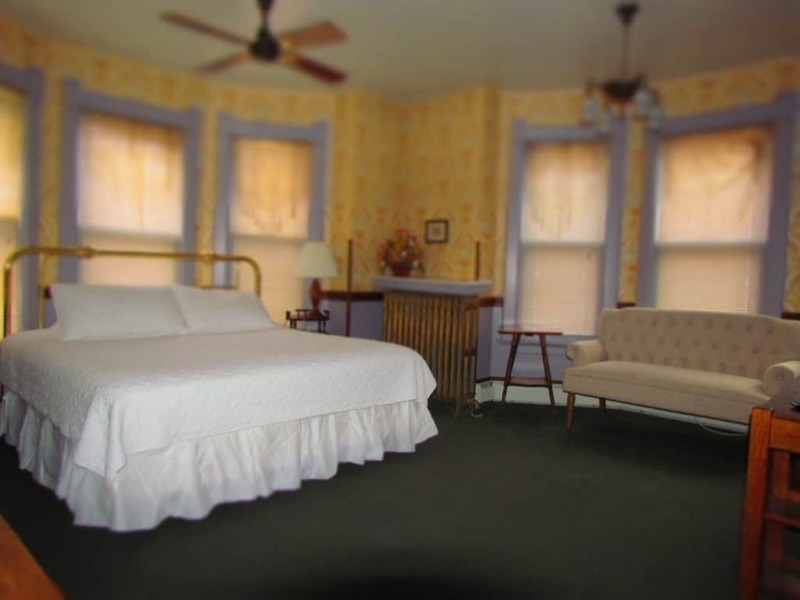 The Cottage House offered us plenty of room with Victorian flair. Our king size bed looked so inviting, and an over-sized love seat provided plenty of seating. It was a little out of place to find a flat screen television in such a romantic setting. Of course, it came in handy when we needed to check the weather forecast for the next day. The property sits just off Main Street, so it was easy to just park our car and walk to shops nearby. 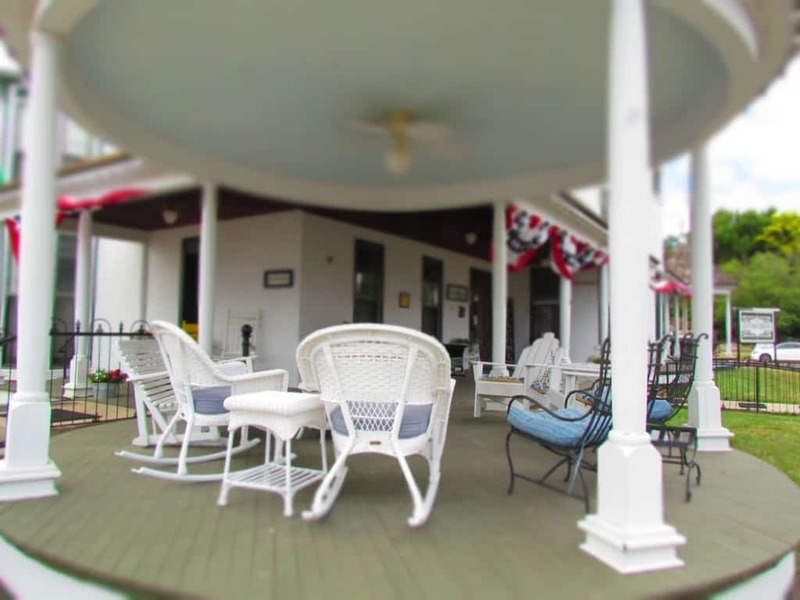 A huge porch offers guests a place to gather and chat after dinner at one of the town’s restaurants. For us, this ended up being the Hays House, which was only a couple of blocks away. (You can read more about Council Grove restaurants here>) We ended up taking a drive out to the lakes for a sunset view, before calling it a night. Thankfully, we had a comfortable room at The Cottage House waiting for us on our return. 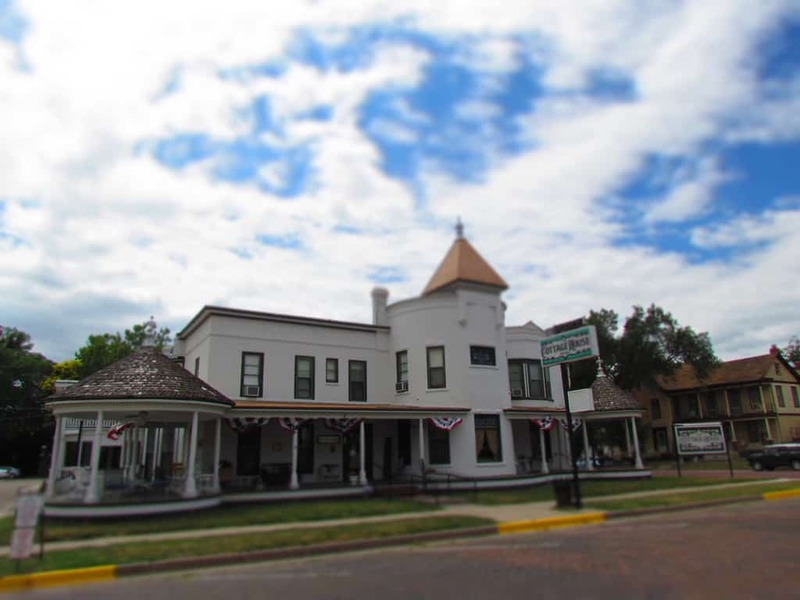 Have you ever stayed at The Cottage House in Council Grove, Kansas? We would love to hear your thoughts. Like this article? We would love for you to share it with your friends!